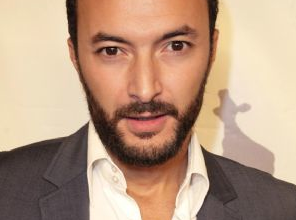 Nasrdin Dchar (Rabat, Tirza, Süskind) will play the lead role of undercover police officer Zahid in THE INFILTRATOR. Zahid was born in Holland as son of a Moroccan father and a Dutch mother. After graduating from the Police Academy, he now gravely desires appreciation from his police force. By infiltrating in a Moroccan drugs family in Maastricht, he can prove his special value. But when he’s become part of the family, Zahid is confronted with long suppressed feelings; he feels at home. The family turns out to be not as clear-cut bad as he thought, while the police force isn’t always as upright as it seemed to be. Zahid finds himself entangled in a moral dilemma. The film will be directed by Shariff Korver and written by Rogier Blok. Nasrdin Dchar (1978) won a Golden Calf for Best Actor in 2011 and was nominated for the Rembrandt Award for his part in the movie Rabat. Shariff Korver graduated at Netherlands Film Academy in directing/fiction. His graduation film NO WAY BACK (GEEN WEG TERUG) won the Nassenstein Price for Best Graduation Film Fiction and the European Civis Media Award. Lemming Film produces THE INFILTRATOR in co-production with NTR. The film will be shot in The Netherlands, Belgium and Morocco in autumn 2013. THE INFILTRATOR will be released in 2014.